Eccentric Amblings and Ramblings From Gnat Bottomed Towers: Please take one! 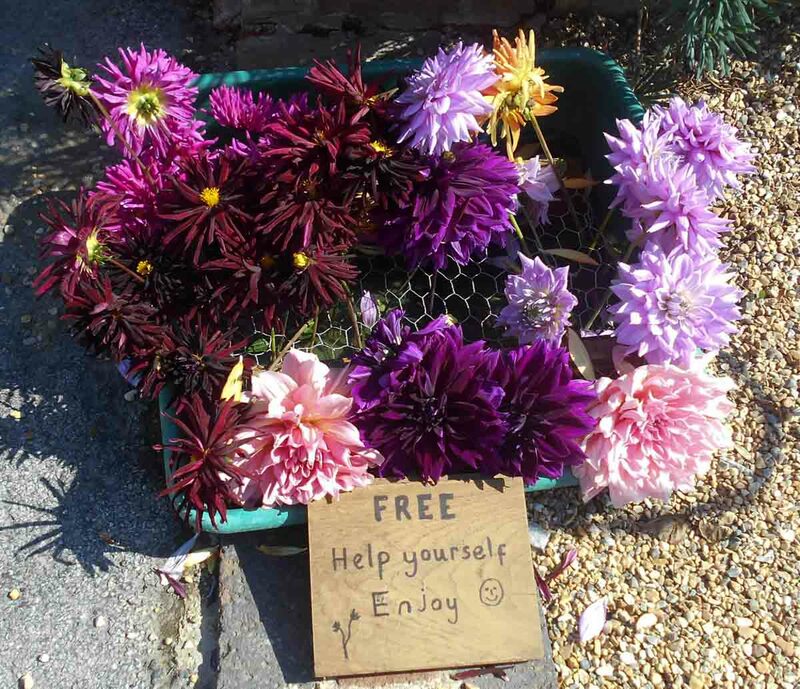 I loved this kind gesture left outside a house in Shalford last week. Unfortunately we were travelling too far and the flowers would have wilted in the car before we got home, so I left them for others to enjoy. There will be a bit of a hiatus in blogging this week as we're off on a little celebratory break. Back soon! It's a nice thing to be able to do too. We gave some surplus homegrown veg to our neighbours recently. Washing my dirty laundry in public. Hardly A Matter of Life and Death!